Full disclosure, I am a huge Uber fan! I not only use it when I’m traveling out of town, but it’s my go to method of transportation even in my own city, particularly if I’m going to be drinking or if I need a ride to/from the airport. Friends of mine can attest to the fact that I’m pretty much made it my personal mission to get everyone I know riding Uber. Using Uber is super easy. You just download the app on your smartphone, connect your method of payment such as PayPal and you’re good to go when you’re ready to use it. 1. Only request an Uber ride when you are ready. It’s really important to know that you cannot request an Uber ride in advance of your trip time. Once you put in your location and request a ride in Uber, your car is on its way. And you will be charged a fee for canceling at that point. You’ll usually find that an Uber vehicle is just within minutes of you, so it’s usually never a problem to find a vehicle when you need it. Seriously, I’ve had an Uber come and get me at the most unGodly hours of the morning to take me to the airport. Uber Pool is an option where you can share a vehicle with other riders for a lower fare. Your co-riders may or may not be coming from or going to the same location as you, so be prepared for your Uber driver to make several stops during your ride. Uber Pool can be a good option if you have time to spare, but I would not recommend it if you are pressed for time. Selecting UberX insures you a private Uber ride for 1-4 passengers. For larger groups, you’ll most likely have to request an extra large vehicle or SUV. Occasionally, there are especially busy times for Uber and that’s where you’ll find the dreaded surge pricing. This is where the usual Uber rate is increased to keep up with the high demand. These don’t last forever, however, and many times, you’ll find that just waiting a few more minutes to request a ride will help you avoid surge pricing. 4. Be sure to search for coupon codes out there to save some money on your Uber ride! Especially for first time users, there are usually various coupon codes you can find. I have an exclusive promo code you can use on your first Uber ride that will save you $10! This is regardless of your destination or total ride cost, so it could also mean a free Uber ride! Just use code LOVEPEACEDEC10 to save! 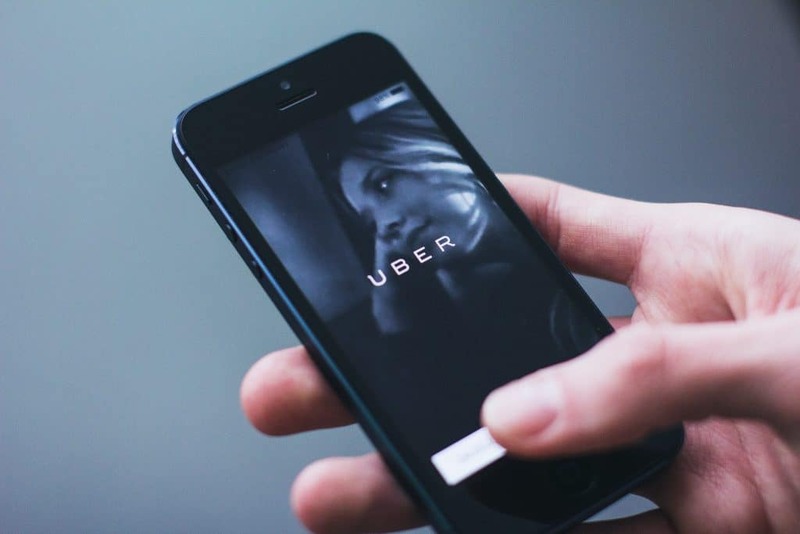 Once you request an Uber vehicle, the app will show you the driver’s name (and picture in some cases), vehicle type and licence plate number. Always take the time to confirm your driver’s identity before getting in the car. As an added precaution, whenever I’m riding alone, I always screenshot this information and share it with my husband just to be sure that someone else knows who I’m with. Should you actually teach your kids to break the rules - Yes or no? I have never taken a Uber before. This is great information for when I do! I’ve never heard of this. But I will keep it in mind for when we travel. Wish I read this before my first Uber ride. Could have used a coupon code. Oh well… next time. The uber is great. I already download their app and I tried to used their service. Very accessible. Uber is cool. I have tried this and it works. Worth the effort to use the code. That first tip alone is so important! I’ve heard some disastrous stories of people ordering Ubers too early! I have never taken an Uber, but my friends rave about it. This is good to know before I take my first Uber ride! Uber is a great way to get around the city! You don’t have to worry about parking anymore which is why my daughters and I use it often. I think these are great pointers! We don’t have Uber (offically) here but these are great tips for those who use Uber! I have never used Uber before! Can you believe it? 🙂 Thanks for the useful information! Uber is so convenient! It’s definitely one of the things that makes life easier for people who doesn’t like driving! I think these are great guidelines! Thank you for this! We plan on using Uber when we’re at Disney to take us to Universal. I really like the idea of identity confirmation. I too would make sure to take a screen shot and send it to a family member or friend in case something happened. I don’t know if there’s an Uber here in the Philippines but I heard about grab a taxi. I think same method with Uber. This is a great idea for those who needs to ride public transportation.